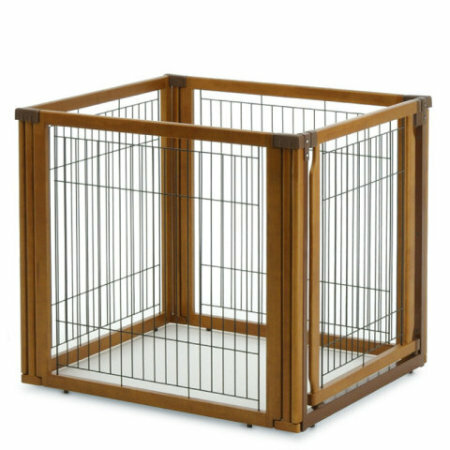 While I was visiting the big sale at Hammacher Schlemmer today, I checked out a very handsome, sturdy dog gate, that has a wooden frame and steel bars. It's the first dog gate I've seen that actually converts into a kennel! And it's on sale for a very reasonable price! Whether your puppy is being 'house broken' or you are trying to keep your dog from jumping on the dog-fearing guests (those screams are loathsome, aren't they? ), a gate always comes in handy - and the sturdier, the better. 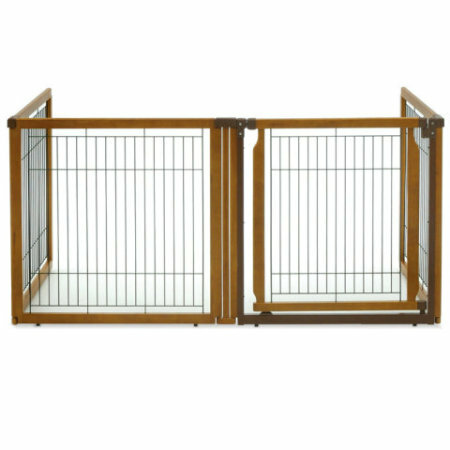 Each of the four panels on the Convertible Dog Gate can be locked into place at 90º or 180º angles, so you have some flexibility to bar off a section of your room where your pet can be contained, yet still be able to see what's going on around him and get enough air. 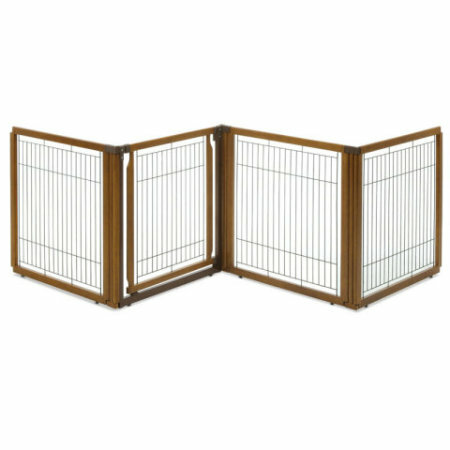 Other neat features of this gate are 1) it has a door which can be opened and closed without disrupting the rest of the barrier, 2) the gate is free-standing requiring no holes to be drilled in the wall or elsewhere, also making the gate; 3) movable and portable. Cool and it comes with a lifetime guarentee, at a great price while quantities last, at Hammacher Schlemmer.